Τοποθετημένο στην καρδιά της Χακάτα, το Guest House Yasuragi είναι το ιδανικό σημείο από όπου μπορείτε να ανακαλύψετε τη Φουκουόκα. Από εδώ, οι επισκέπτες μπορούν να έχουν άμεση πρόσβαση σε όλα όσα η πόλη έχει να προσφέρει. Με την βολική του τοποθεσία, το ξενοδοχείο προσφέρει εύκολη πρόσβαση στους προορισμούς της πόλης που πρέπει οπωσδήποτε να δείτε. Το Guest House Yasuragi προσφέρει επίσης πολλές εγκαταστάσεις για να εμπλουτίσετε την διαμονή σας στη Φουκουόκα. Το ξενοδοχείο σας προσφέρει μια μεγάλη επιλογή υπηρεσιών, συμπεριλαμβανομένων των δωρεάν WiFi σε όλα τα δωμάτια, παντοπωλείο, κουζίνα, ασύρματη σύνδεση Wi-Fi σε δημόσιους χώρους, οικογενειακό δωμάτιο. Ελάτε σε ένα από τα 3 φιλόξενα δωμάτια και ξεφύγετε από τα άγχη της ημέρας με μια ευρεία γκάμα ανέσεων, όπως δωρεάν τσάι, σύνδεση internet (ασύρματη), ασύρματη σύνδεση internet (δωρεάν), δωμάτια για μη καπνίζοντες, κλιματισμός, που θα βρείτε σε ορισμένα από αυτά. Εξάλλου, το ξενοδοχείο διοργανώνει πολλά ψυχαγωγικά δρώμενα έτσι ώστε να έχετε πολλά πράγματα να κάνετε κατά τη διαμονή σας. Το Guest House Yasuragi είναι ο ένας και μοναδικός προορισμός για εσάς που ψάχνετε ποιοτικά καταλύματα στη Φουκουόκα. Δεν είναι δυνατό να γίνει check-in μετά τις 10:00 PM. Θα εφαρμοστεί μία πρόσθετη χρέωση αν ο αριθμός των επισκεπτών κατά το check-in είναι μεγαλύτερος από τον αριθμό ατόμων της κράτησης. Pros - location was good - enough bed space for 5 Cons - restroom is awkward with the shower above the sink and no tub, no exhaust other than the open window so its cold during winter - couldn't reach owner/manager during stay (emailed a few times during our stay but didnt get any reply) All was going okay until we checked out. Owner/manager was fixing the room when he called me back in to complain the aircon remote was missing. I didn't even turn on or touch this remote during the stay, so it was left on the dining table the duration. It was eventually found on the top bunk. Most probably put there during cleaning. But the delay explaining and trying to find the remote caused us to almost miss our flight. I got no apology or anything after, unfortunate this is the way we had to end our stay. Just be prepared for basic accommodation, make sure to check items left behind. You're such a bad guy. I found the remote control in your friend's bag and I wonder if you're planning to steal it. People in your country don't think about the other side. Let's not see each other again. 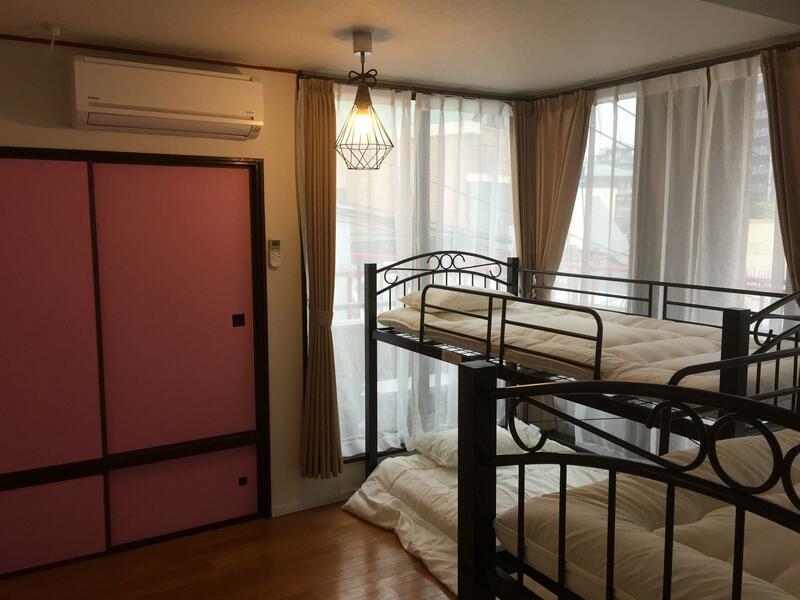 This hostel is located right at the entrance to Fukuoka's main shopping arcade, and just a short walk from most of the city's major sites. 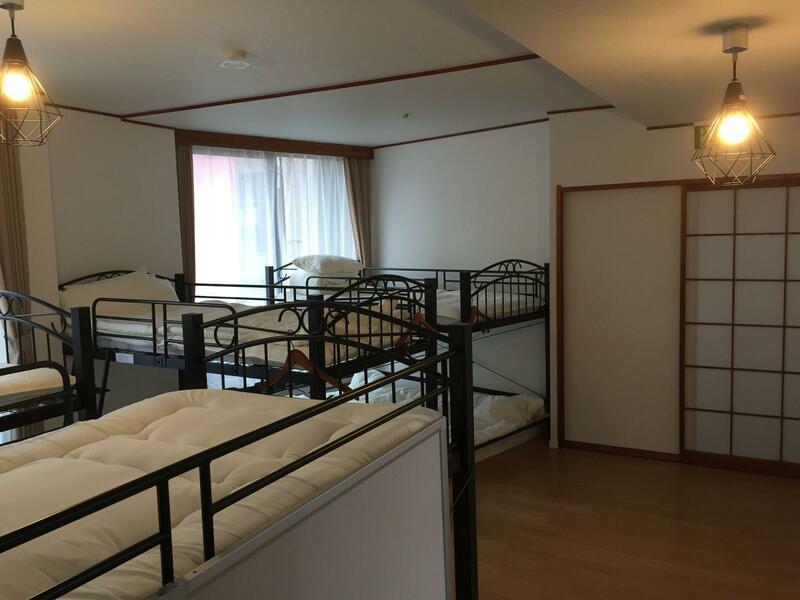 Mr. Yoon is extremely welcoming to guests, the hostel is kept very clean, and beds are comfortable. The common area has a small kitchen and some tables and couches where you can hang out and chat with other guests. The location was very convenient because it was near to bus station, seven eleven and some restaurants and shop. The price and the quality of the room did not seem to meet my expectations, it’s kinda hard to contact the staff too. Would be a nice place to stay if you’re korean since there’s a lot of korean in here. It was really nice experience to me and my familly. I visited with my family on august 2017. We stayed 2nd floor which is family room. It has private toilet, kitchen, 1 single bed, 1 2 floor bed. And futon. Anyway it was cool. Very huge size of the room Compare the other japanese style room. Any owner was really kind to every guest. I am really thank you for him. I suggest to visit here. This was the first time I have stayed in a guest house. I was not expecting it to be this clean, convenient and friendly. The location is very close to the subway. The mixed room that I stayed in had a total of 8 beds tightly packed into a small area. Each bed had a curtain to provide some privacy, but your experience here will be mostly based on the other guests in your room. The first night 2 guys were drunk and speaking loudly around 2 a.m. and one other night someone was trying to pack their suitcase at 5 a.m. The sleeping area is on the 4th floor and the showers, toilets, lounge and check in are all on the 3rd floor. The main entrance is controlled by a touch-pad key system, so the place felt secure. There is also a group of lockers available and you can cable lock your suitcase to some guardrails inside too. It was an overall good experience and I would recommend staying to other travelers. I gave a 4 for the Staff mainly because you cannot get in the guest house after 8 PM without calling or emailing them. I gave a 4 for the Facilities mainly because of the room being a bit too closely packed - I would rather pay more for them to have only 6 beds in there. ** Side note ** The people of Fukuoka were GREAT! Everyone I talked to was very nice and many people went out of their way to help me. On two different occasions I had asked someone for assistance with getting to the subway and both times the person I asked walked me over 3 blocks to ensure that I got to my destination. I've never stayed at a hostel or a guest house before and I was really impressed to how clean this place was. 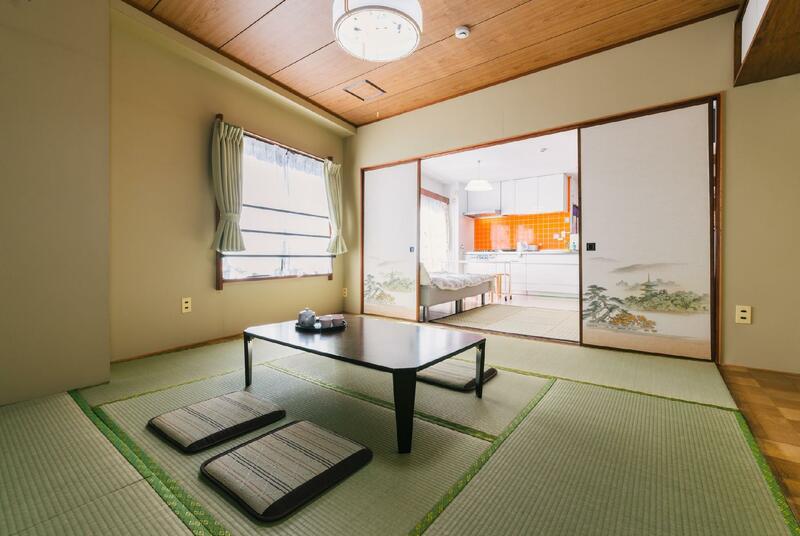 It was very clean and it's conveniently located around a bunch of shrines and temples. I was able to do a lot within my 3 day stay in Japan because this was in the middle of everything. It's also off of a shopping street so you can always get something to eat and if you're on a budget (as I was) you'll find really good places to eat for 5-7,000 yen. Most places are about 10-12,000 yen. Japan is quite expensive if we're comparing it to other places of Asia. However it is my favorite place so far. Maybe even rent a bicycle if you have the funds for it. Can see more and save money from subway rides. The owners don't really speak too too much English but they go above and beyond to help you. It's weird but you tend to understand each other although Theres a language barrier hahaah. Enjoy! And this is 2 blocks away from nakasa kambawata station. Great location close to two subway stations, and right next to the Canal City shopping mall (You must visit Ramen Stadium and go there very hungry). Owners are Korean and very kind, can speak Korean-Japanese and English, so a great place especially for Koreans! Very clean, lockers for safety, separate men's and women's bathroom/showers. Owners very kind and helpful for trip planning. No food or breakfast served, so bring your own. Ice water always provided. Will stay here again! 이 환상적인 게스트 하우스 있어요. 관리자는 한국인 이다. 한국 사람들 이 즐길 수 있어요. 당신은 여기 머물 해야해요. It is located near the Canal city and Tenjin. (you can go there on foot.) And the hosts are very kind and really helpful. But I think the space of the room and some facilities (toilets, shower booth) are small and not enough for all guests. If you don't mind that inconvenient, I think the fare is also reasonable. And I would like you to recommend this guest house. Guest House Yasuragi opened only a few days before I came here. It is a small but cosy and clean place. The facilities are really new and modern. Although it is located in the center of Fukuoka it is quiet and relaxing. As the hostel is really knew I was almost the only guest staying there. So I became friends with the Korean owner who also introduced me to Korean food. The location is very good. Everything is in walking distance and there a lot of places to go out. I definitely recommend staying here! Close to subway station and only 15 mins walk to Hakata JR station, host is Korean and he is very friendly. But no lift and may concern to walk up 3-4 storey with big luggage. The price is great. Also the location is excellent since it is 5 mins walk from subway station and 5 mins away from the shopping Centre Canal City. Σταθμός Υπόγειου Σιδηρόδρομου Nakasu Kawabata στα 0.43 χλμ.